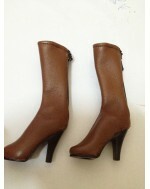 ZYToys1/6 Brown Leather Medium long Boot *** Click to enlarge below pictures *** &nb.. Highly details 1/6 Red Leather Medium-Long Boot from ZYTOYS **It's for 1/6 figure toys, not for h.. IN STOCK ZYTOYS 1/6 Scale Female Leather Lingerie Set ZY16-2 Including: 1) Leather Cuffs .. IN STOCK Zytoys 1/6 Scale Female Shooter Accessories Pack This set is including :- - Leathe..
ZY TOYS 1/6 Scale Digital Video Camera Set ***Click to enlarge below pictures*** ..